BEIJING: The number of organ donations and transplants in China hit a record-high after it banned the use of executed prisoners’ organs early this year, making voluntary donation from citizens the only legitimate channel. “More than 6,000 organs had been donated by over 2,000 donors as of early October, marking a record-high after January’s ban prompted concerns about an acute shortage of organs,” Huang Jiefu, a former vice-minister of health and current head of the National Human Organ Donation and Transplant Committee, was quoted as saying by the Beijing Youth Daily. He said that over 300 hospitals will become qualified to perform organ transplants next year and that over 500 young doctors will be trained in donation and transplant procedures. In 2014, voluntary donations from Chinese citizens became the largest source of organs for transplant, accounting for 80 per cent of all donated organs, state-run Xinhua news agency reported on August 22. A survey recently said people were “uncertain” whether they were willing to donate, largely because they were not sure about “whether their organs will be treated fairly and transparently,” it reported in April. Traditional beliefs that favour preserving bodies intact after death may also make would-be donors hesitate, Zhu Jiye, director of the Organ Transplantation Center of Peking University, told the Global Times. Zhu advised that people should instead try to think of organ donation as a kind of continuation of their lives. 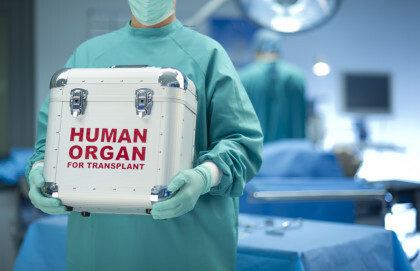 China which used organs of executed prisoners earlier started a voluntary organ donation trial programme in 2010 and began promoting the practice across the country in 2013. According to a report released by the National Health and Family Planning Commission in 2013, China has witnessed the second largest number of organ donations in the world.